Even if you're planning a small intimate wedding or a large 200 guest wedding a stress free experience is key to great photography. 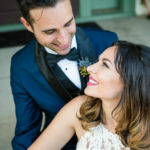 With all the details to decide on and decisions to make choosing your photographer may be one of the most important among them. When the cake is gone and party favors boxed away your album will be there to remind you. Once you've decided you'd like to work with me based on my work and pricing feel free to contact me! If you're out of state we can even set up a video conference so we can discuss your needs in detail and so you can get to know each other a little better. After our meeting I'll put together an estimate and contract based on your specific needs. Coverage time, engagement sessions and other extras are included in it. A signed contract and a 50% retainer is required to save your date at which point we're super super official! between us. In my experience breaking the nervousness of being photographed especially if you're not used to it carries over to the actual wedding day. When your big day big day comes you'll be more familiar with my approach and terminology to ensure that we get the best possible poses. I like to shoot these sessions at least 6 months before your wedding so you can use the photographs for save the dates and as decore for your reception. 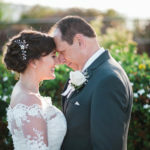 As your wedding date approaches I like to keep in touch with pinterest and keep emails open to any questions or ideas that arise. I do have my style and approach to weddings which you can see in my galleries, but I encourage requests. A month before your day I'll send over a questionnaire to help plan out logistics on my end. If you have a wedding planner I'll work with them to ensure we get proper time allotted for a smooth and photographically beautiful day. Seven paragraphs later we're finally here! Your wedding day! I like to arrive early and get a little head start on our iternary. I come prepared with all the equipment required to work in any condition the day presents us with. We work through your timeline, capturing you in the best light and every moment in between. After your wedding I'll edit your photos for color correction and exposure. You'll receive an organized online gallery where you can download the full resolution images 'till your hearts content. It's also a great way to share your wedding photos with guests. Finally I begin work on your wedding album. Using online tools we collaborate on which images you'd like to include in your album as well as layout change requests. If this experience is one you imagined for your wedding day, send us an inquiry today!